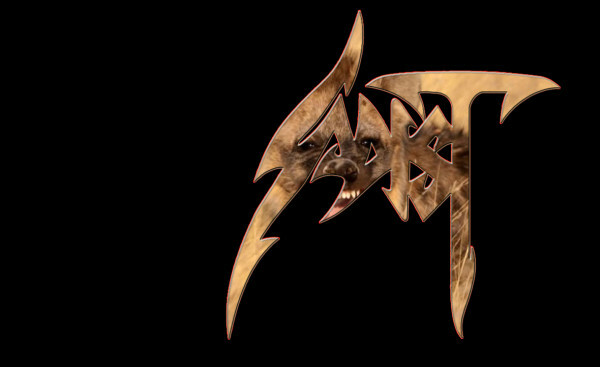 Longstanding Italian death metal band Sadist, famous for incorporating Pestilence/Atheist style progressive and jazz influences into their work in the early 1990s, have returned from retirement with a new album. This one features more bouncy and spacious speed metal rhythms, such as on Voivod Dimension Hatross or Anacrusis Screams and Whispers, but stays true to their habit of interweaving different styles and narratives with metal riffing. Bizarrely, perhaps in some transposition of Nietzschean ideas, the album and band seem to be using the visual theme of hyenas against prey animals. While this is not the goofiest thing in death metal, it seems a bit ill-advised because of the general view of hyenas, which forgets what vicious predators — on par with wolves but more energetically violent — hyenas are. See for yourself what you think of this odd campaign and the music that supports it on the album teaser.